The authors of Applied AI have incredible depth of expertise and experience in AI, and they make the complex topic accessible to everyone. It’s rare to find technology experts as engaging and thought-provoking. 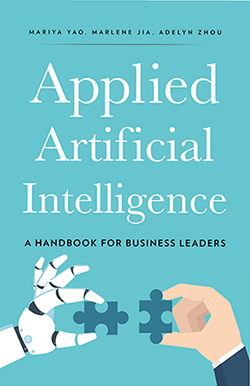 This book cuts the fluff and arms business leaders with exactly the right foundational knowledge to lead successful AI initiatives at their companies. It’s hands down the best playbook for executives starting on their automation journey. As a deep learning researcher and educator, I’m alarmed by how much misinformation and misreporting occurs with AI. It’s refreshing to see a practical guide written by experienced technologists which explains AI so well for a business audience. 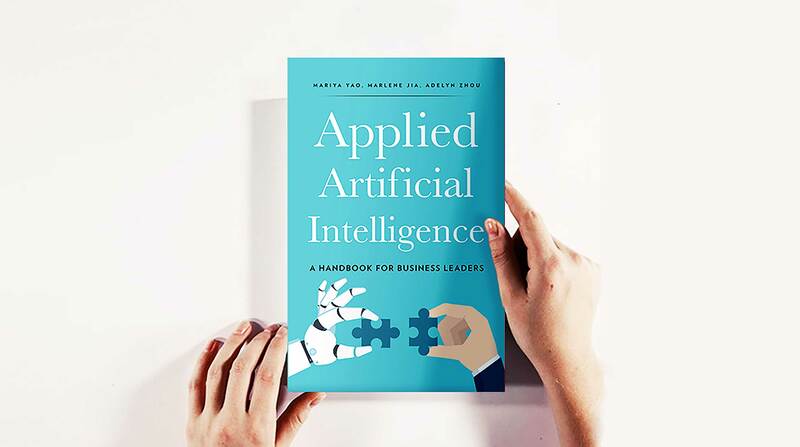 Our Applied AI book was selected by CES as one of the top technology books of 2018! We were honored to be invited to launch our book onstage and do a book signing at their 2018 event. We spoke to an audience of executives, entrepreneurs and practitioners about the importance of adopting AI to stay competitive in an increasingly automated world. We give several keynote talks and workshops based on our Applied AI book. Our corporate education is designed for business executives who want to maximize the chances of successful AI initiatives at their companies. If you’re interested in our speaker offerings, you can book us to teach at your event.